San Francisco Beer Week is an annual event dedicated to the Bay Area's booming craft beer industry, inviting local breweries, restaurants, and bars to show off new and unique brews. There are over 700 events across the Bay Area scheduled this year, including more than 130 in the South Bay and Peninsula. 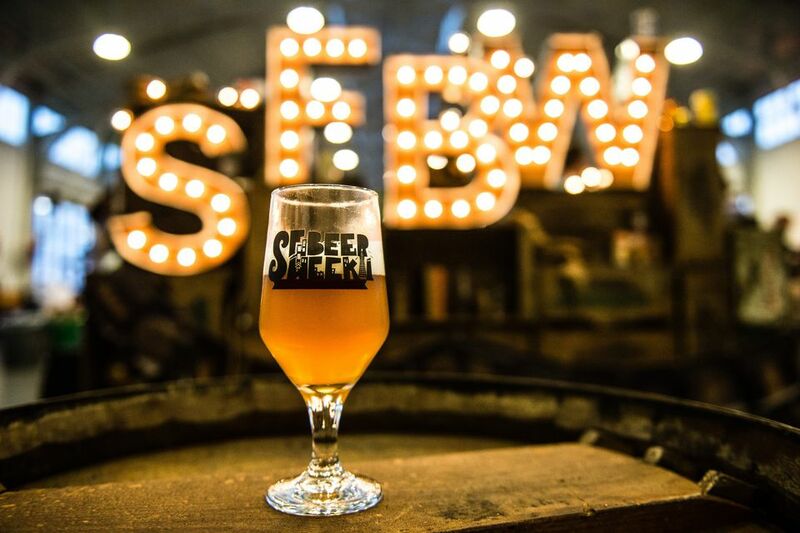 Check out this list of our picks for the most interesting San Francisco Beer Week events in San Jose and Silicon Valley. Founders Brewing Company will be tapping a keg of their Breakfast Stout that was brewed with a lot of coffee and chocolate. If ever a beer was perfect for breakfast... 11am-10pm. Propolis Brewing, a Washington state-based producer of traditional old world herbal ales, will be tasting a variety of their unique ales, each paired with a selection of artisan cheese and meats. 2pm-5pm. Join The Table as we welcome Ruhstaller Farm & Yard to host a 4-course tasting menu, featuring locally grown beers paired with seasonal American fare. Seating is limited and by reservation only. Join Firestone Walker's Barrelmeister Jeffers Richardson, who is in charge of the brewery's barrel-aged beers and its wild-beer project, Barrelworks. Featuring a draft lineup of extremely rare and exclusive Firestone and Barrelworks beer, a pop-up food pairing menu. 5pm-10pm. Join Ballast Point for tropical craft cocktails made with Ballast Point Spirits in Ballast Tiki mugs you get to take home with your purchase. The event will also have a long tap list of rare and barrel aged beers. A tasting event to let women sample beers in a casual setting, guests are even welcome to wear sweats! Devils Canyon brewery owner Kristiann Garrett will lead a blind tasting to help participants discover new beers, flavors, complexities and styles. Admission: $30. More information and tickets. 6pm-9pm. Have you ever had an “adult” root beer float? This event features stouts, porter, belgian, cider floats, and more. They'll be offering ice cream specials throughout the event, too. 1pm-7pm. More information.